The Commonwealth Scientific and Industrial Research Organisation (CSIRO) is Australia’s national science agency and one of the largest and most diverse research agencies in the world. As part of CSIRO’s National Flagship Program, under the Sustainable Agriculture Flagship (SAF), two national biochar research projects are being carried out by the biochar research team, led by Dr Evelyn Krull, and funded by the Australian Government through the Department of Agriculture, Fisheries and Forestry’s Climate Change Research Program and the Grains Research & Development Corporation. 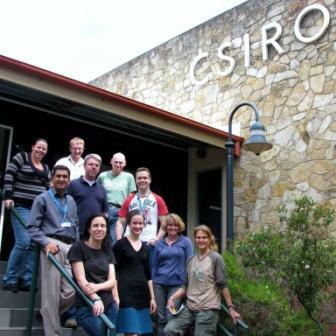 CSIRO’s step into biochar research was initiated through a Visiting Fellowship granted to Dr. Johannes Lehmann, Cornell University, USA in 2007. The CSIRO group had been working on charcoal in soils for many years (which was a component of the research with Dr. Lehmann). The first international biochar conference, held in Terrigal Australia, corresponded with Dr. Lehmann’s visit to CSIRO. That international conference, combined with the fact that Dr. Lehmann was in the process of editing and writing Biochar for Environmental Management with Dr. Stephen Joseph, enticed the CSIRO team to contribute a chapter to the book. These events and experiences highlighted the important role of biochar and motivated CSIRO to commission a biochar review in collaboration with biochar researchers Saran Sohi, Roland Bol and Eliza Lopez. This review was essential to start communicating with funding agencies and to document the importance of investment by the Australian government into biochar research. Many studies suggest that biochar applications to soil improve soil fertility and crop productivity, increase water holding capacity and soil organic carbon content, and thereby contribute to carbon sequestration. However, there is little information on the differential effects of a range of different biochars, or data documenting the beneficial impacts of different biochars in various cropping or land management situations. The current CSIRO-led national research projects aim to close these knowledge gaps. Their approach is to assimilate a large (>80) database of biochars, produced from different feedstocks and under different conditions, and analyze them for various chemical, physical and biological properties, ranging from simple carbon and nitrogen analyses to cation exchange capacity (CEC), pH and water holding capacity and also including the following: major and minor nutrients and metals; proximate and ultimate analyses; specific surface area; NMR (Nuclear Magnetic Resonance); MIR (mid-infrared spectroscopy); XRD (X-ray Diffraction); and mycorrhizal colonization. To CSIRO’s knowledge, this currently constitutes the largest biochar database in the world analyzed with consistent methodologies. 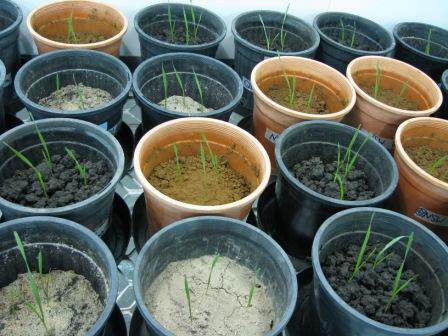 The team then chose four differing soil types from major agricultural regions of Australia (Western Australia: Tenosol; South Australia: Calcarosol; New South Wales: Ferrosol; northern NSW/Queensland: Vertisol) which constitute the base of various experiments, ranging from different plant growth experiments, to incubation experiments for microbial assessment or greenhouse gas mitigation to assessing the effect of aging of biochars under different temperature conditions. Field experiments are also underway in the areas where these soils were collected. 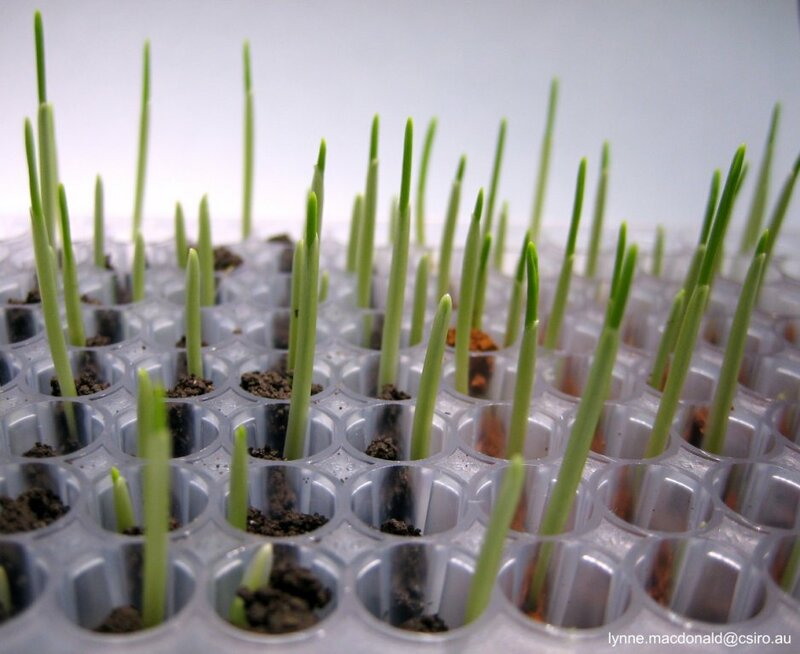 The CSIRO team is thus ensuring that various laboratory studies are undertaken on the same soils as the field experiments. For these field and lab experiments, the team is limiting biochar application to six biochars, produced from common waste materials: wheat straw at 450 and 550°C, poultry litter at 450 and 550°C and oil mallee at 450 and 550°C. All biochars were produced in collaboration with Adriana Downie at Pacific Pyrolysis. Because the research is using the same four soil types and biochars throughout the experiments, they have the capability to differentiate not only crop responses but also microbial functional changes, nutrient mineralization, greenhouse gas (GHG) mitigation and biochar stability as a functional interaction of biochar, soil type, and application rate. They have also assessed potential risk factors such as PAH (Polycyclic aromatic hydrocarbons) and dioxin contents of different biochars, the risks associated with decreased pesticide and herbicide efficacy, metal concentrations in biochars and their bioavailability, and potential risks associated with high and low rates of biochar applications. Finally, life cycle assessment methodology will examine under which conditions biochar systems can effectively and most efficiently mitigate GHG production and emissions. Close up of micro-plantation trial. Pot trial experiments with wheat, evaluating the effects of 2 different biochars (wheat straw and poultry litter) at different rates (0, 1, 5, 10t/ha) and in different soil types and non-nutrient and non-water limiting conditions. The different soils are readily apparent by their different colour and texture. 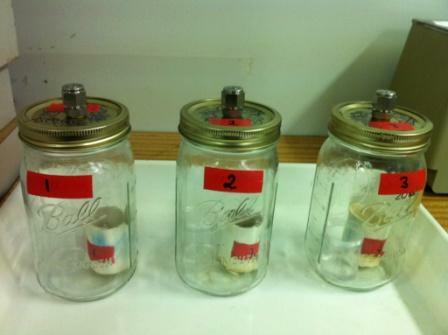 Biochar-soil incubation experiment to measure CO2 and N2O evolution. 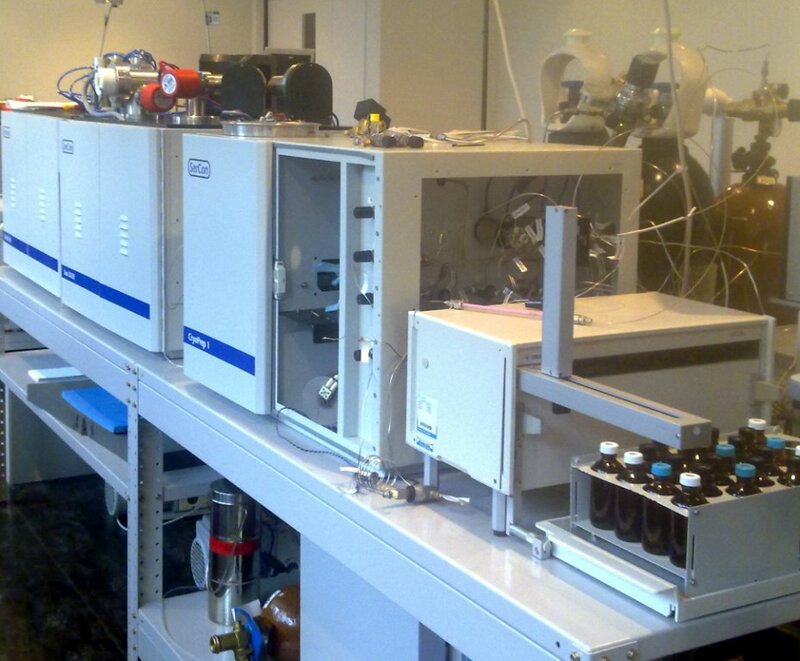 Thermalox coupled to GC-MS to measure C and N content, gases and resultant isotopic signature.